During my free time I enjoy riding my motorcycle across southern Wisconsin, primarily Dane and surrounding counties within, 100 mile radius. In the future, I plan on riding beyond these safe boundaries, going on adventures that span across days and even weeks at a time. As a new rider, I am committed to developing my riding skills and stamina gradually over time in order to minimize risk and improve pleasure. 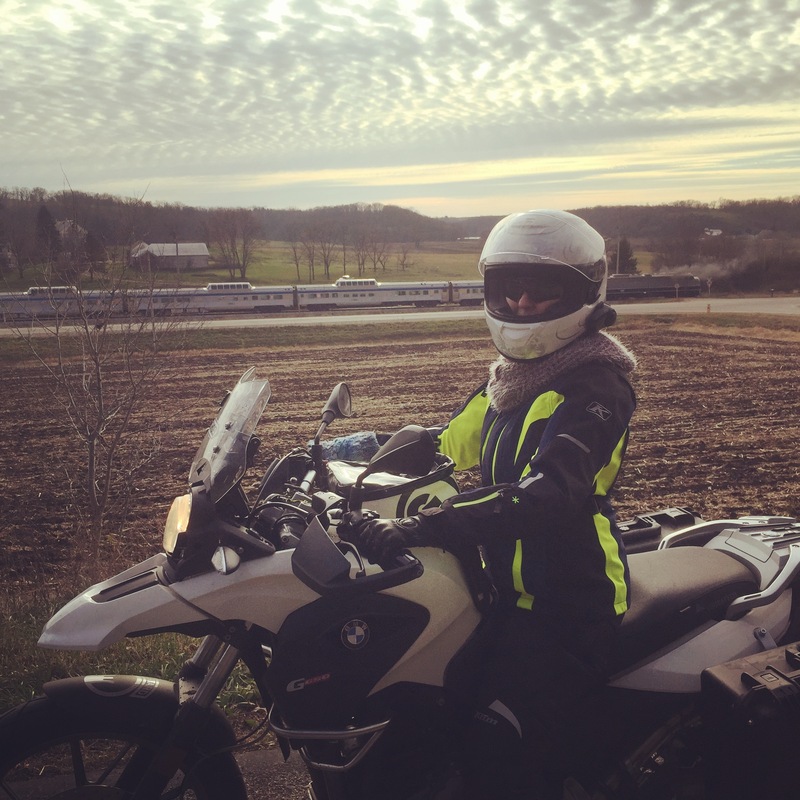 In other words, riding can be amazing, but not without inherent risk; I aim to minimize many of those risks through responsible riding and proper protective gear. ATGATT, [wearing] All The Gear, All The Time. There are three things you control when riding: (1) the safety and proper function of your motorcycle, (2) your protective gear and (3) your behavior, both when making judgments on when and in what circumstances to ride, as well as your actual riding (e.g. safe or dangerous/stretching one’s limits). With those factors under your control, road conditions and other drivers become more manageable. Be smart, be careful, ride safely. Riding is one my life’s passions. You can read about my story here.